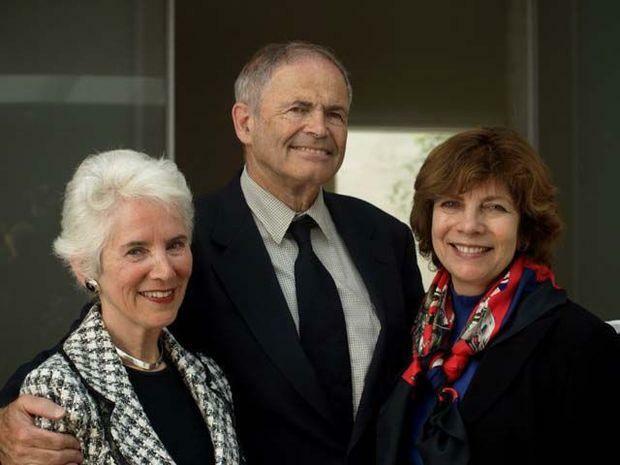 Eva Clarke (left), Mark Olsky (center), and Hana Berger Moran (right) were all born in or near a Nazi concentration camp. Photo was taken in 2010 during the 65th anniversary of the liberation of the Mauthausen concentration camp in Austria. 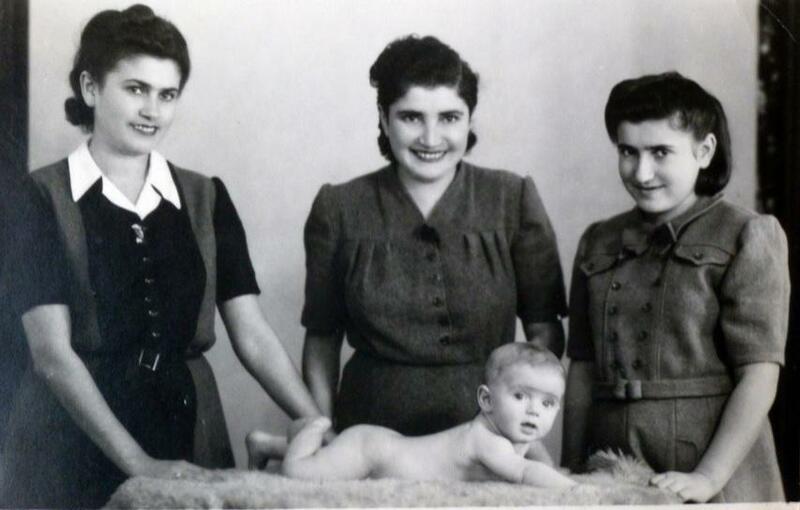 Baby Mark Olsky his mother, Rachel (center), and aunts Sala (left) and Ester (right)in 1946, one year after they all were liberated from a Nazi concentration camp by American troops. 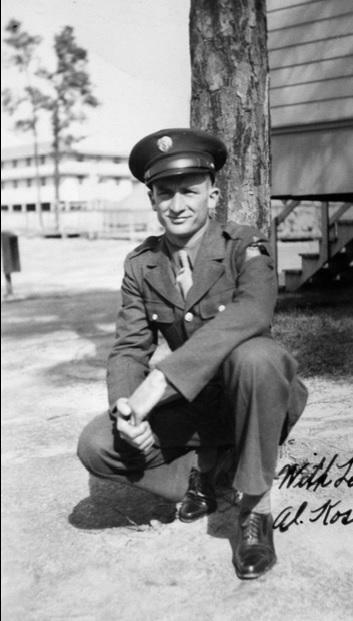 Albert Kosiek, father of Larry, was among the U.S. Army soldiers who liberated the Mauthausen camp. 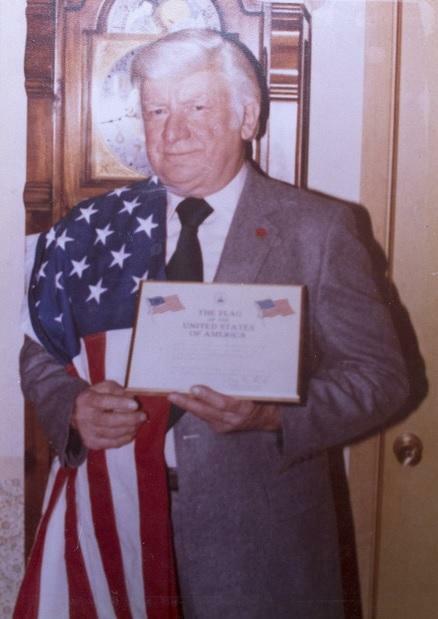 Albert Kosiek with a flag that had flown over the U.S. Capitol and was later used at his funeral. Lake Effect's Mitch Teich talks with "Born Survivors" author Wendy Holden and Larry Kosiek, the son of the U.S. Army sergeant who led a squad that liberated the Mauthausen Concentration Camp. The camp was liberated 70 years ago by a squad attached to the U.S. Army’s 11th Armoured Division – The Thunderbolts. The squad was led by Sergeant Albert Kosiek. 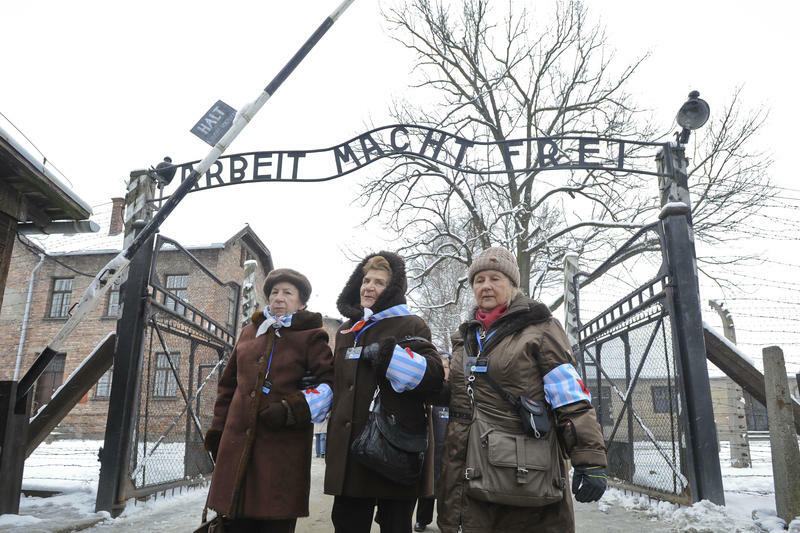 "Born Survivors" depicts the tales of three young mothers and their stories of courage during and after the Holocaust. A book has been published about the three women and their children who were born while they were prisoners. 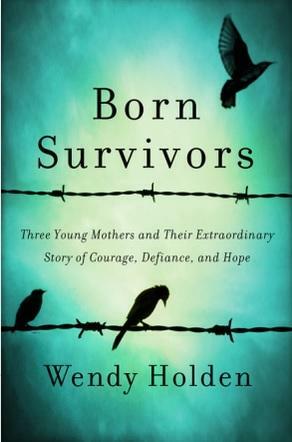 Born Survivors, by Wendy Holden, includes the stories of Wisconsinite Mark Olsky, and the late Sergeant Kosiek's son, Larry Kosiek who lives in Lake Geneva. "I don't think I've ever written a book or done any research where people have been so open and honest and willing to share their stories with me," British author Holden says. 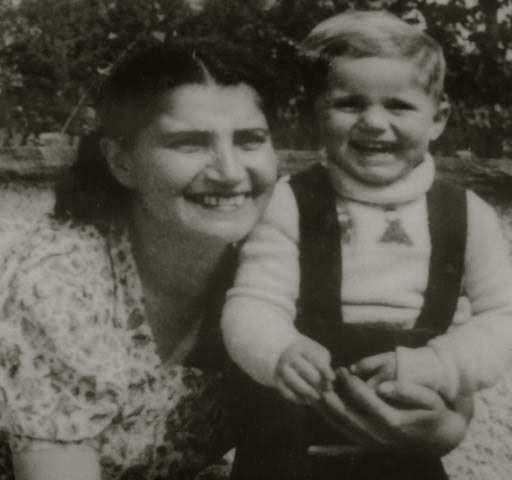 "Right from that first encounter with Eva, when I asked her if I could write her mother's story, she reached across, squeezed my arm and told me, 'I've been waiting for you for seventy years.'" Larry Kosiek had the opportunity to share his father's story and meet Mark Olsky in person - an experience Kosiek found to be "very emotional to meet somebody [his] dad saved." Holden stresses the importance of telling these lesser-known stories because it offers a basic level of human connection you cannot necessarily learn in a history lesson at school. "I think that this story will never lose its strength of feeling or its ability to move people, and that is incredibly important in these times when we have contemporary holocausts happening around the world," says Holden. Kosiek wants to spread a message of peace and understanding. "Everybody says history repeats itself, and if everyone becomes familiar with this story it's my hope that that history never does repeat itself," he says. Holden's book is now published in twenty-one countries and translated into sixteen languages. In the time since it first came out, Holden says she's come to realize the extraordinary nature of the story she's told. "This is truly the most important book I'll ever write," she says. The Mauthausen Concentration Camp in German-occupied Austria was liberated on May 4, 1945. Among the more than 40,000 people rescued was Mark Olsky, who had been born just a few days before, in a cattle car en route to the camp. With the camp's liberation, Olsky, his mother, and four of her siblings, survived the Holocaust - but just barely. Olsky weighed only three pounds when he was born. His mother was under 70 pounds and was close to death. Mitch Teich speaks with Kay Nolan, author of the article, "A Rebel Named Mildred," for Milwaukee Magazine. 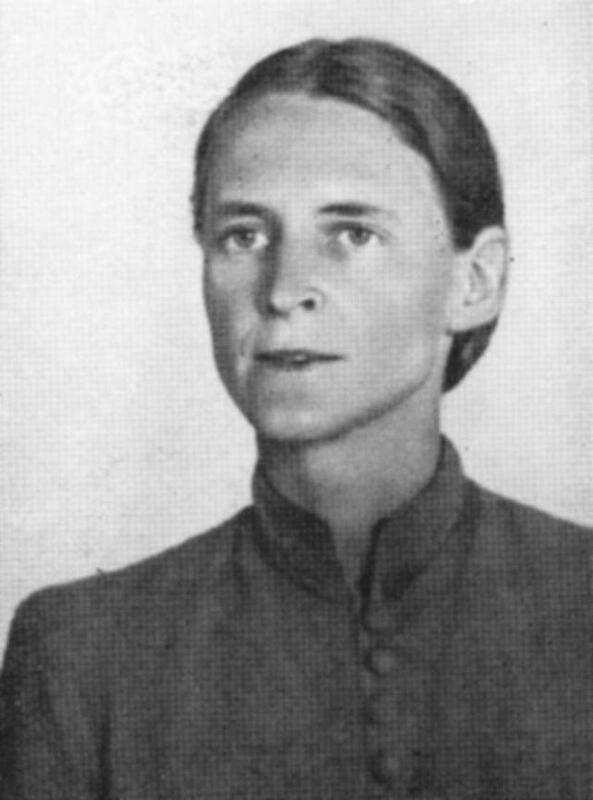 Mildred Fish Harnack played a key role in the resistance effort during World War II and was executed by the Nazi regime for it.